Stracey Arms Drainage Mill01362 869394work WindmillStracey Arms Drainage Mill near Great Yarmouth is a drainage mill with access by 2 ladders to the cap showing the brakewheel and gears. 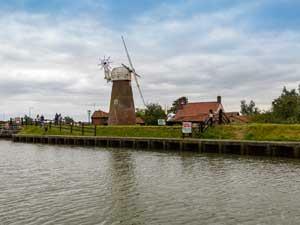 Within the mill is an exhibition of the history of drainage mills on The Broads. There is also a shop selling souvenirs and a tea room. A brick tower mill, built in 1883, and once used for draining the surrounding marshland. The mill operated by wind power until the Second World War when it was replaced by an electric pump, housed in an adjacent building. Stracey Arms Drainage Mill near Great Yarmouth is a drainage mill with access by 2 ladders to the cap showing the brakewheel and gears. 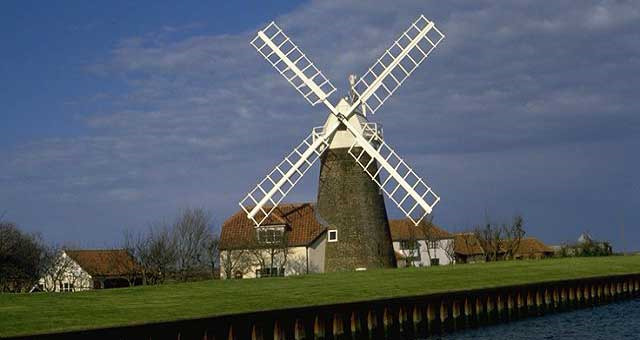 Within the mill is an exhibition of the history of drainage mills on The Broads. There is also a shop selling souvenirs and a tea room. Open from Easter until the end of September and during October half-term. Please telephone 01362 869394 to confirm before attending due to pending mill repairs. Take the A47 from Norwich to Acle. Vehicular access is not recommended as located directly beside busy 'A' road. Access is primarily via river and footpath.